Together with Golf Course Industry, we hosted a webinar last week to share our latest research about amino acids. The conditions on a golf course are rarely optimal for turfgrass health. 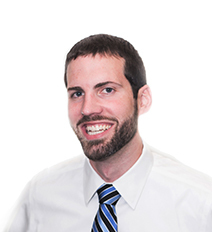 Superintendents are in a constant struggle to provide faster green speeds and healthier turf, two somewhat contradictory goals. For years, superintendents have turned to amino acid products to increase turf’s ability to withstand stress. But how does it work? Superintendents Keith Wood of Quail Hollow and Brent Palich of Mayfield’s Sand Ridge Club joined our very own George Murray and Curt Geron for an hour-long discussion focused on the turf health benefits of amino acids. Abiotic stress—including drought, salt, temperature, UV radiation, traffic, and mowing height—can lead to the “spiral of decline” in turfgrass. 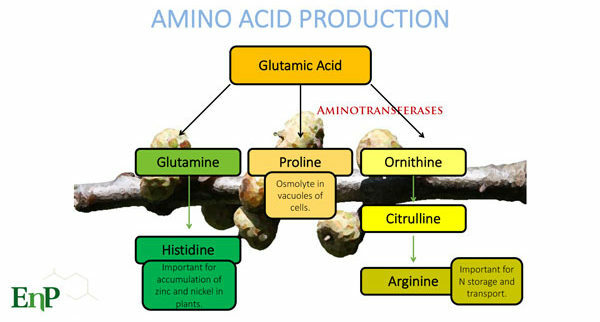 Amino acids combat the “spiral of decline” because they increase nitrogen assimilation, increase carbon assimilation, increase chlorophyll production, and increase the production of other essential amino acids, and increase anti-stress compounds for storage in vacuoles. Some amino acids are more important than others. Turfgrass absorbs mostly inorganic nitrogen from the soil and converts this nitrogen to NH3. An abundance of NH3 is toxic to plants and it needs to be converted to a non-toxic carbon molecule. Glutamic acid is necessary to convert NH3 to a carbon form of nitrogen. 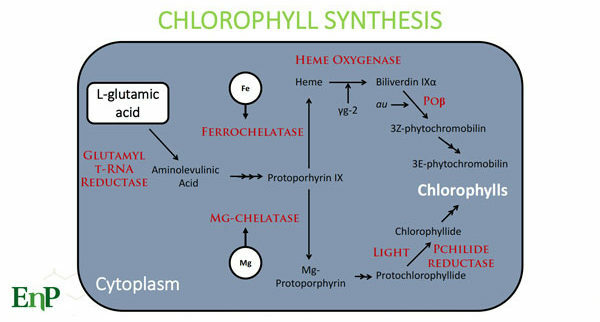 L-glutamic acid, iron, and magnesium are all required for chlorophyll production. As plants absorb CO2 from the atmosphere O2 is mistakenly take up. In C3 plants glycine is instrumental in converting O2 into usable CO2 through a process called photorespiration. In C4 plants aspartic acid is instrumental in converting O2 into usable CO2 and allows C4 plants to thrive in warmer climates. 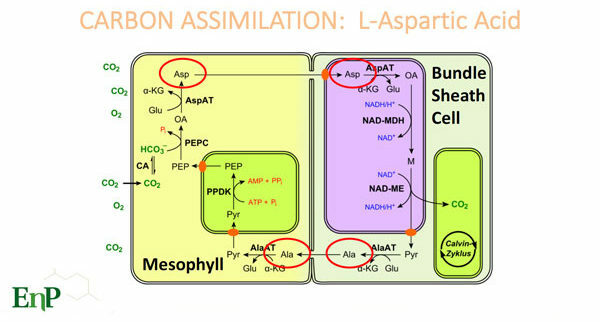 Plants will convert aspartic acid and glutamic acid into various “down-stream” amino acids. Depending upon the environmental conditions and current state of health, the plant will create its own customized set of amino acids. L-proline regulates cellular homeostasis in the vacuole though its cyclic structure that resists change of shape as the cell flexes due to water and salt stress. 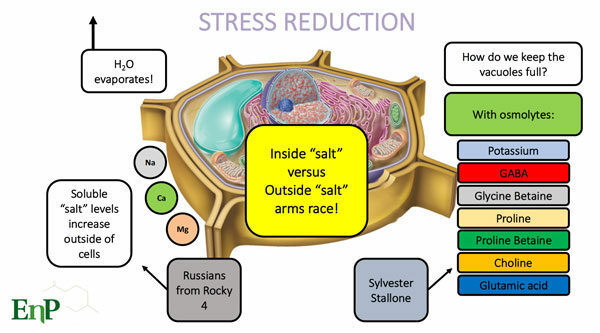 Plants accumulate osmolytes to increase salt potential inside the cells allowing those cells to accumulate and hold water. Potassium is an inorganic osmolyte. We can also supply amino acids that either function as osmolytes (Proline, Glycine and Glutamic Acid) or are easily converted to more complex osmolytes including GABA, Glycine Betaine, Proline Betaine, Choline. Building and conserving more carbohydrates means more energy diverted to building roots. Amino acids can improve aeration recovery with reduced levels of nitrogen. Amino acids increase the uptake and efficiency of herbicides, fungicides, and PGRs. Amino acids improve color response and longevity from nutrient applications. Amino acids increase plant vigor. 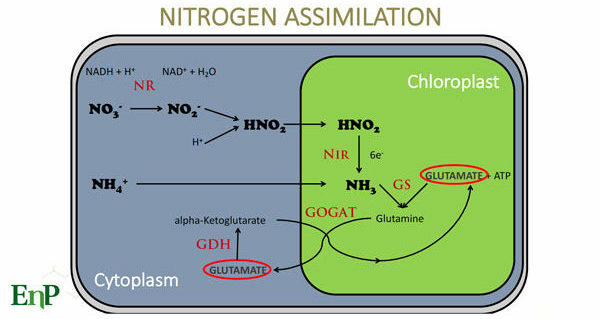 Amino acids improve overall plant health while limiting nitrogen inputs.